Maybe you left the color on too long and lost a chunk of your precious tresses, or maybe the brassy red that resulted wasn’t the alluring auburn pictured on the box. If you’ve ever used an at-home hair color kit, odds are you have a horror story to share. Even if you’ve managed to delve into the world of home hair coloring unscathed, you may be doing damage to your luscious locks without realizing it. Read on for three reasons to pass up on DIY hair color products and hit the hair salon instead. A dull sheen, brittle texture, and split ends aplenty—hair color from a box can wreak havoc on your hair. A professional colorist has the precision and expert eye (not to mention the quality materials) needed to transform your hair’s color without ruining its quality. 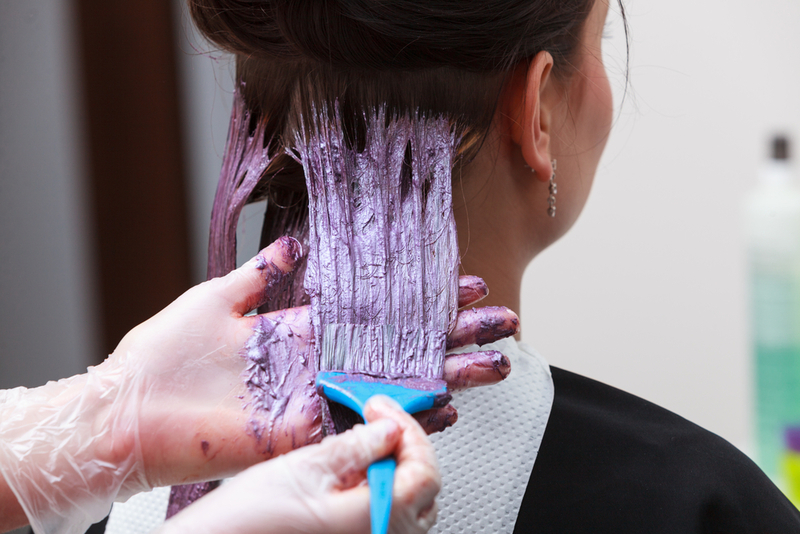 Changing your hair color requires serious chemicals that are best left in professional hands. The outcome of home hair color rarely matches what the model on the box is sporting. The characteristics of your hair—from its porosity to its length—will impact the final outcome of a DIY hair color project. Playing around with bleach is especially likely to lead to disaster, leaving many ladies with orange-stained strands instead of the sunny blonde they were striving for. Box color is designed to work with a wide range of hair types and shades. Hair color at a salon is expertly mixed and tailored to suit your hue. Don’t take a one-size-fits-all approach to hair color. From creating expert highlights to matching your skin’s undertones, a skilled stylist has the tricks to ensure your hair makeover is a ten. Create-A-Cut Hair designers has a solution to renew, revamp, and revive your DIY tresses. Come in for any color service, and receive 20% off of any Wella Brilliance product. Formulated for color treated hair with Microlight technology, Brilliance products reflect light and color within the hair strand. This leaves your hair glowing for the holidays. Valid now through December 24,2016. If you’re looking for a hair color makeover in Norwich, CT, trust Create-A-Cut Hair Designers to take care of the job. With their team of experienced staff and quality products, these pros will make your hair dreams a reality. Visit the hair salon’s website or call (860) 889-2979 to find out more about their services.